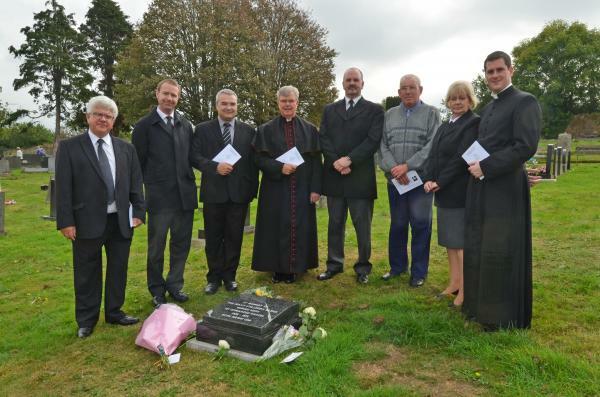 Today in Haverfordwest a stone memorial and four trees were dedicated to the lives of 420 babies who were buried in unmarked graves. The stillborn babies were born between 1928 and 1975 when it was common practice to take them from their mothers without any ritual. 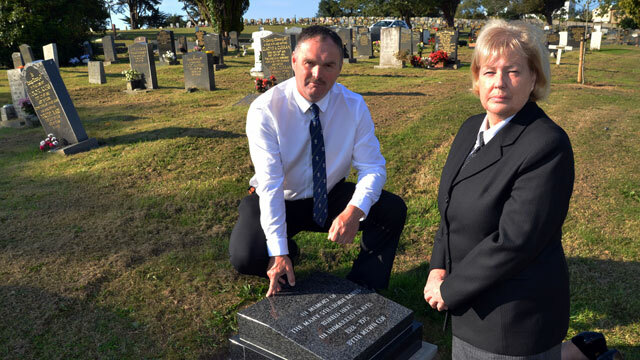 Now the babies will be permanently remembered at City Road Cemetery in Haverfordwest, where most of the babies were buried. The memorial is the culmination of years of campaigning by Pat James, crematorium assistant at Parc Gwyn in Narberth. The memorial was dedicated by the chaplains of Withybush Hospital, Canon Geoffrey Gwyther, Rev. Geoffrey Eynon and Fr Liam Bradley. A radio interview with Pat James may be found here. Pictured at Monday’s service are (L-R): Rev Geoffrey Eynon; James Allen, Superintendent and Registrar; Shane Morgan of Tom Newing & Son; Canon Geoffrey Gwyther; Robin Folland of Roy Folland & Son; Elfyn Evans, former gravedigger City Road Cemetery; Pat James and Father Liam Bradley. This entry was posted in Parish News and tagged Family life, Last Rites, Memorials on September 29, 2014 by stdavidandstpatrick.